Thank you to Judy Gallic and Allyson Sander for the pictures. 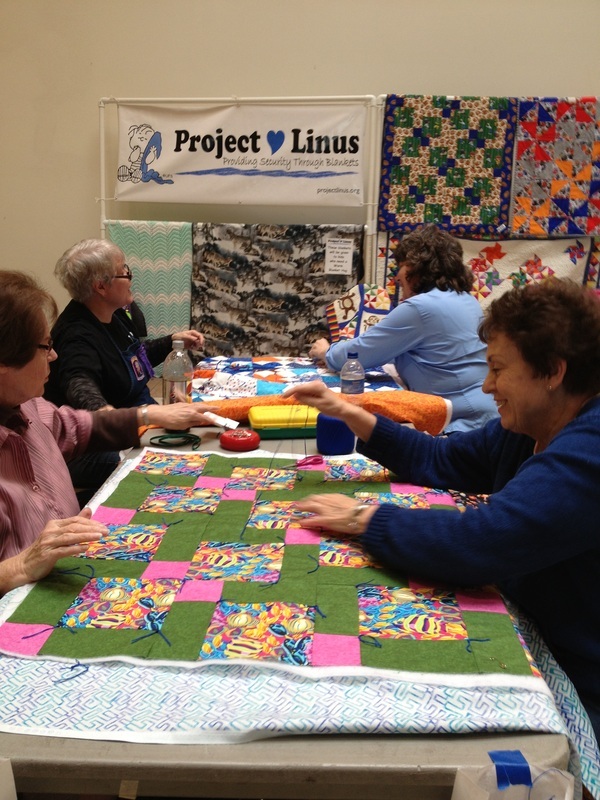 Daniel attended Royal Family Kids Camp where he received a Project Linus blanket. Daniel has been adopted and now has a family of his own. 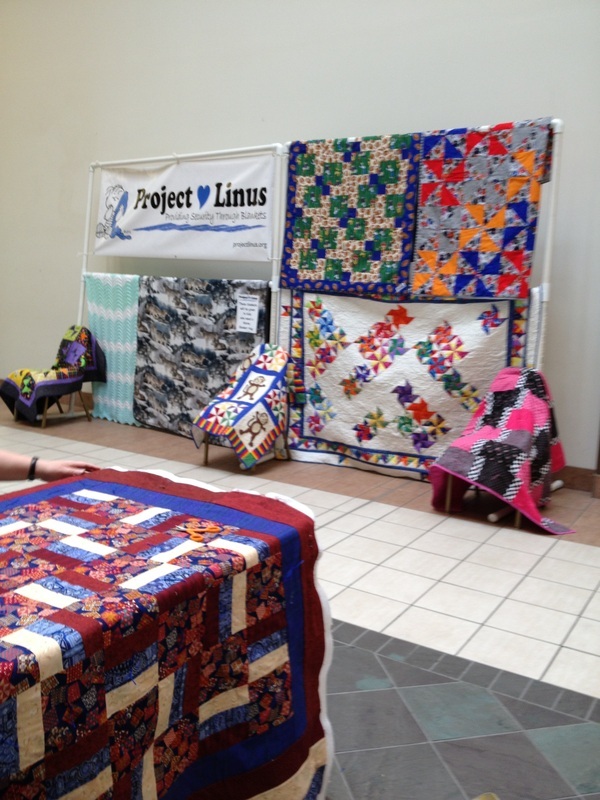 When he had to do a school project he chose to make a blanket for Project Linus. He did all the work on the quilt himself - from choosing the fabric to quilting and binding the quilt. 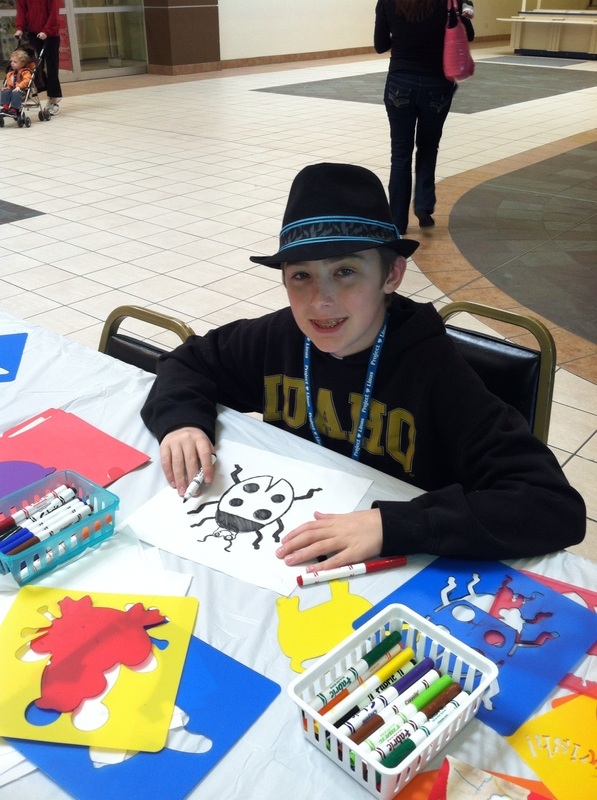 Recently, Daniel and his mom helped deliver blankets to West Valley Medical Center ER. This picture was taken with one of the ER nurses. 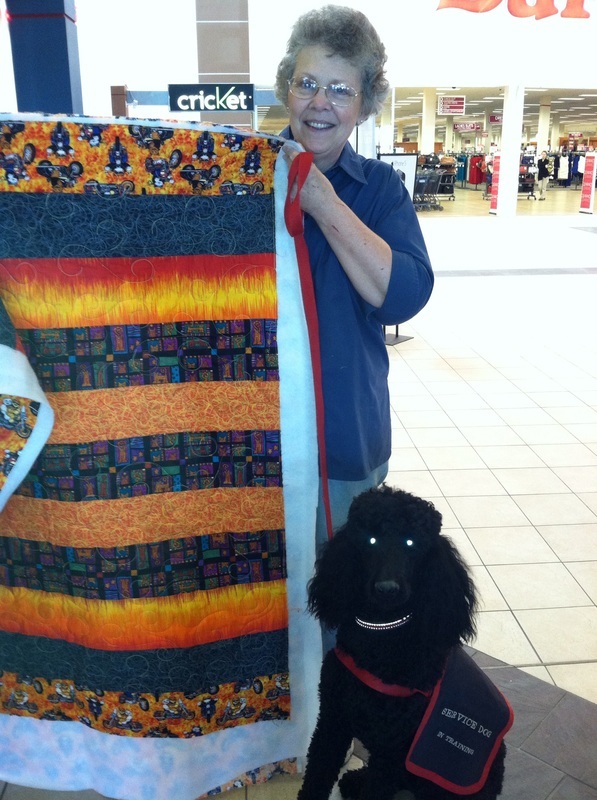 After the quilt is scanned and labeled, it will be in the next delivery to the WVMC ER. Daniel did a really good job on his quilt!! 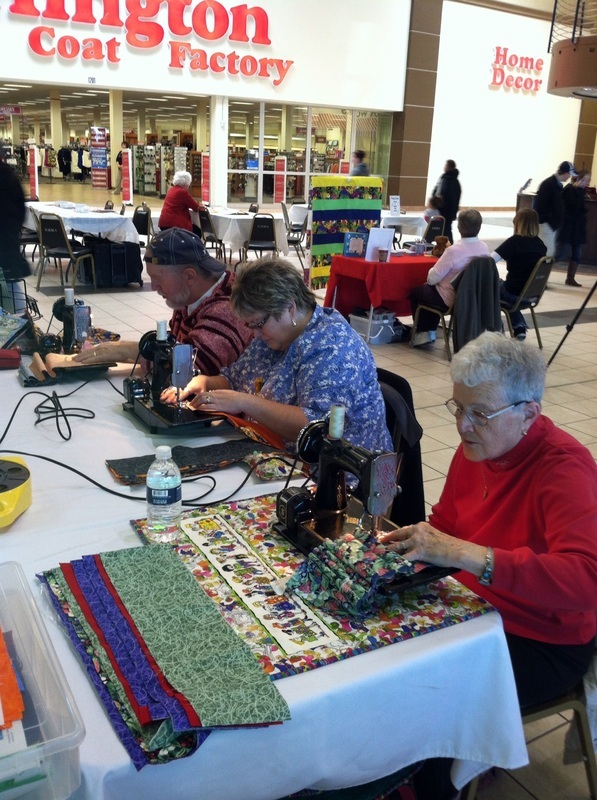 Quilt tying table with quilt display in background. 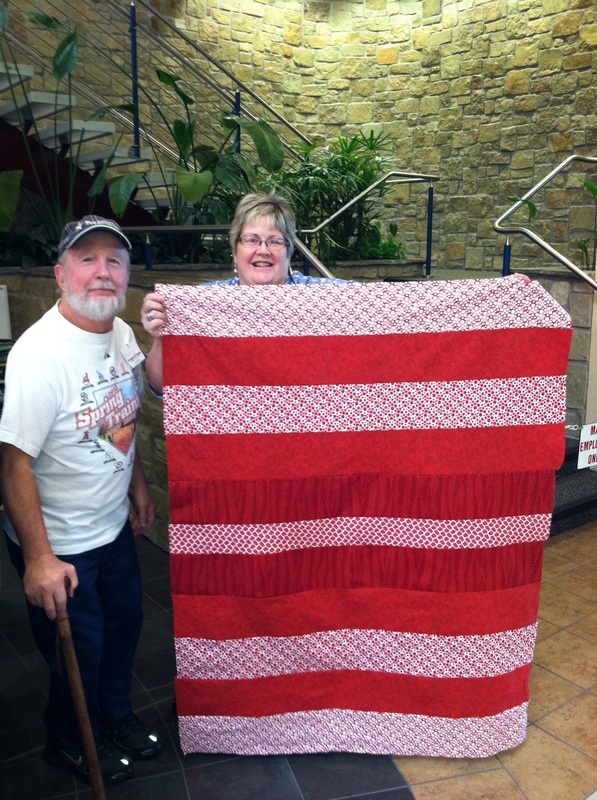 Margaret and Mikey with Margaret's quilt. Mikey is Margaret's Service Dog and loves people and being petted. A row of Featherweights! When the newspaper photographer was there he took many pictures of the Featherweight machines. 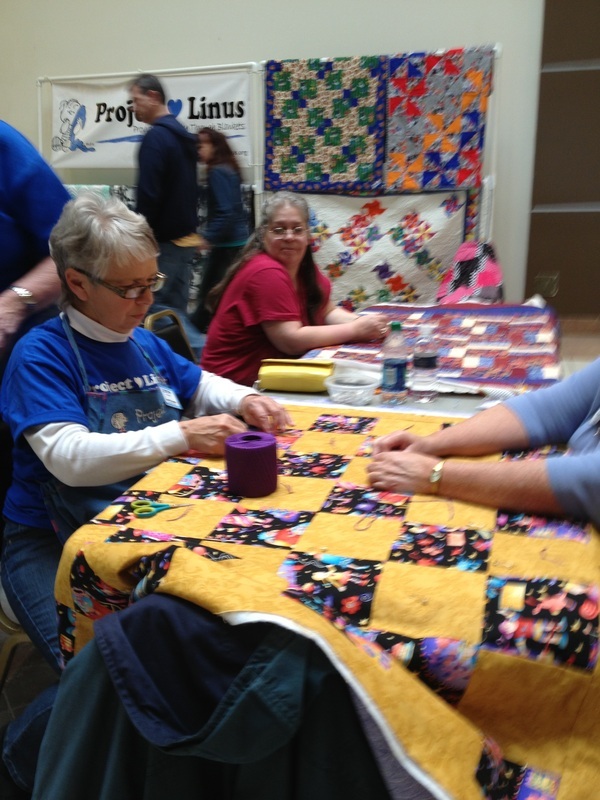 This is just one of the many strip quilts sewed together that day. Kaleb comes to every blanket day with his Grandma except when he's in school. He helps sort, scan and bag blankets - anything that needs to be done, Kaleb helps. 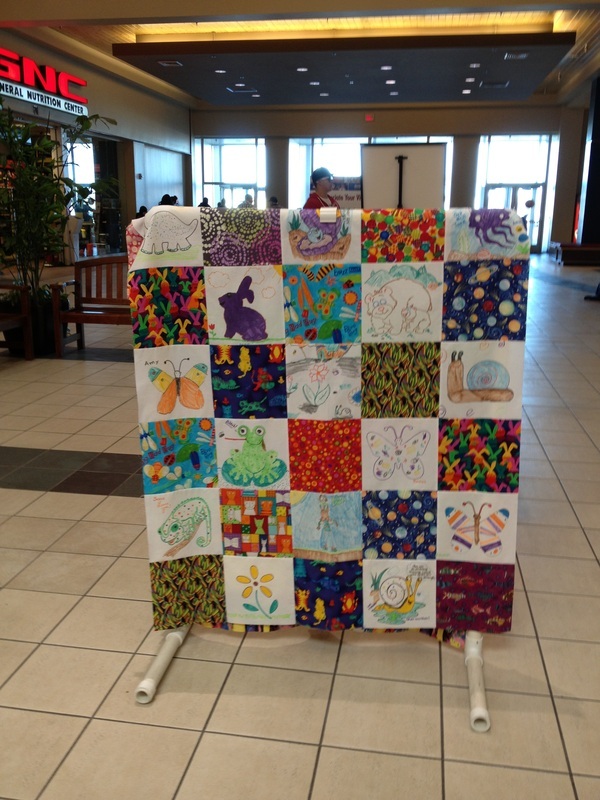 We hung this quilt near the coloring table so the kids could see what would happen to the blocks they colored. We use Crayola fabric markers to color quilt blocks. Big kids color quilt blocks, too! Katy coloring a quilt block. Katy was so busy coloring a block she didn't even notice the newspaper photographer with his camera. Quilts made with colored blocks. The tops were sewed together before the blocks were colored.